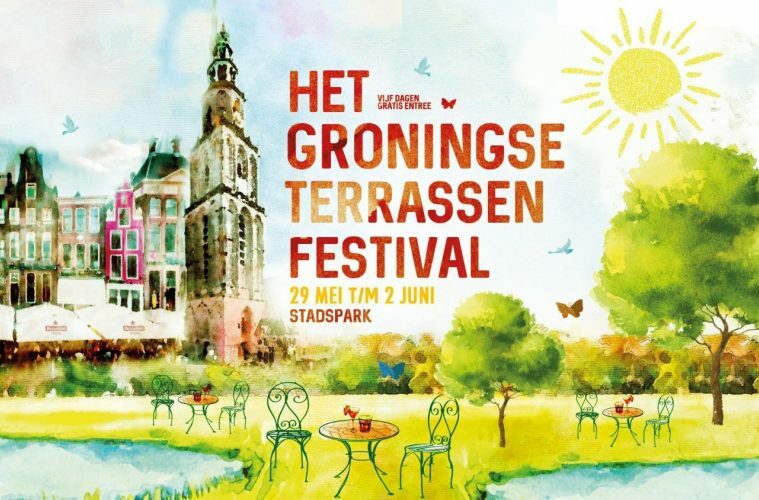 A range of popular Groningen restaurants will be taking part in the Groningse Terrassen Festival in the Stadspark between the 29th of May and the 2nd of June. As reported by the De Smaak van Stad blog, during the long Ascension weekend (Hemelvaart), the Stadspark in the west of the city will be transformed into one massive terrace. Groningen restaurants Flinders, El Santo, The Foodspot, De Soepwinkel, and Blokes will be on hand serving up food and drinks during the five-day-long festival. Entrance to the festival is free, but attendees will have to pay at each of the participating vendors’ spot. The festival is a coming together of all of the Groninger entertainment institutions, with the music being curated by Wolthers Wolther and the DOT Dance Department (amongst others). Aside from the live music, there will also be a silent disco, karaoke, pub quiz and table tennis and boules. The event itself, however, is not organised by Groninger but rather by the Amsterdam-based business 4PM Entertainment, who are known for their creation of the Amsterdam Terrace Festival. 4PM is also responsible for the Kingsland Festival, the new Stadspark Live concert in June which will feature Sting as a headliner and another large music festival in late August.